We spent Thanksgiving with Andrew's family in South Jersey. There was much to give thanks for and we had a restful time. 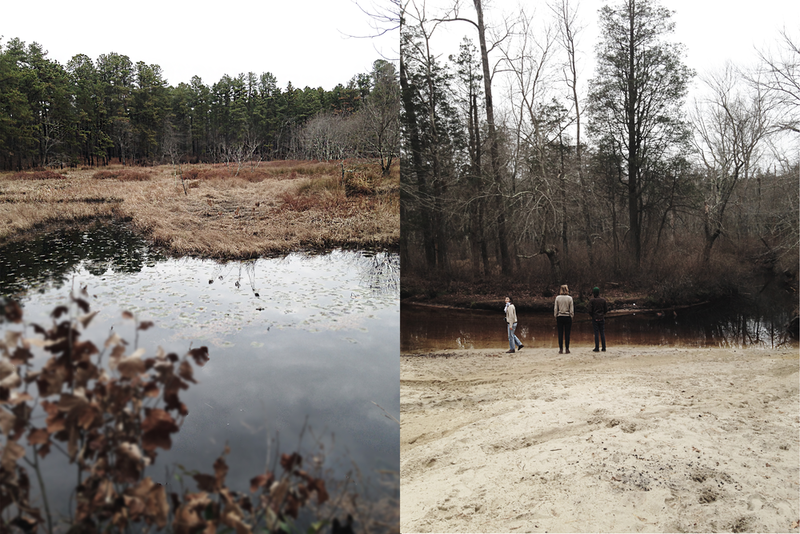 Here we [Mknz, Alex, Andrew, and I] are exploring the Pine Barrens - an interesting ecological phenomenon near Philadelphia. I have to admit, it felt slightly sinister walking through these half-burned trees in the quiet, overcast day, but I enjoyed spending time with friends and seeing something new. Andrew did preface the event with a tale about "the Jersey Devil"...my active imagination probably colored the experience.